Google has taken over the search market and that is undeniably true. But today we’ll be shifting our attention to Bing. This isn’t just another Bing Ads vs Google Adwords post and we won’t be talking about the advantages of one over another. It’s about using both search networks together to reach out more potential customers, increase brand awareness and conversions. 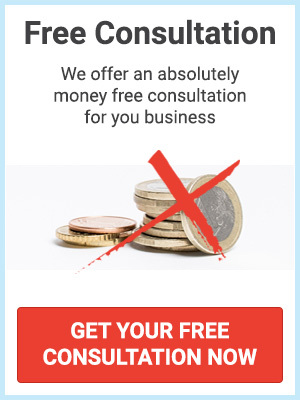 We’ve already talked about the advantages of Google Adwords. It’s a must have in every marketing plan. Then why you should bother yourself and aggravate your budget with Bing Ads you may ask. 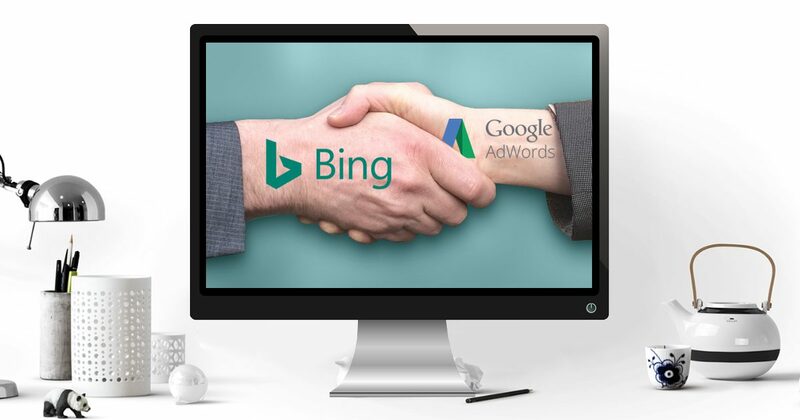 Here are some serious reasons to take advantage of both Adwords and Bing Ads. Especially when it comes to desktop searches. As of October 2017, Bing gets 2.74% of the world’s market share and is second after Google’s 92.29%. Now, add Yahoo’s 2.19% to that and you get 4.93% of the search market, and this is a really decent number. When it comes to the US search market – Bing’s getting 33% of it. It’s also worth to mention the traffic divided by devices. Bing remains second on desktop searches with 4.74% and with Yahoo added the number rises to 8.11% of the desktop market share. Same with searches from tablets – 3.99% (7.38% with Yahoo). When it comes to mobile traffic however, Bing alone is fourth with just 1.11% of the market share. Fortunately, they have Yahoo for a partner and with their share, it climbs to be the second search engine with combined share of 2.31%. The numbers rise even more when you add AOL’s network as it’s partnering with Bing as well. According to Microsoft, the Bing network gets 5 billion searches a month (as of August 2017). They also say that 66 million searchers are not reached on Google. Pretty nice, right? Using Bing Ads will only add more visibility to your brand and increase conversions eventually. They also provide you with some awesome insights on their audience overall and by industry which you may use to narrow your target audience and show them more personalized ads. Let’s say your business is in the Travel industry. According to Microsoft, there are 25 million searchers that are not reached on Google. Additionally, 31 million searchers perform 136 million searches on travelling. And the best part is that 41% of all clicks about travelling end up on ads. Why is that? Have you seen Bing’s result page? Paid results aren’t much different than the organic ones and this might be the most logical reason to get so much clicks on them. There’s a saying that people don’t click on ads when they’re too obvious and it’s partially true. Google has made a few tests on their ad appearance over the years and it seems they’ve got to the same point. Let’s go back to the insights which get even more interesting – 54% of the travel searchers are male, 40% of all searchers are married, over 50% of all are between 35 and 64 years old, and, brace yourselves – 32% of all the travel searcher audience has a household income of $100,000 or more. Interesting, right? Now you have enough information on how to personalize your ads and give your target audience exactly what they want at the right price. You can check out for more awesome insights on Bings Ads website. In addition to the above, Bing Ads also offers advanced audience targeting by age, gender, device type, and location, show your ads on specific days and hours. What is also great about it is the opportunity to choose if you want to show your ads on smartphones only, tablets, or desktops. Bing’s partner network might not be as big as Google’s but it’s enough to consider advertising on it. Some of its partners include Yahoo and AOL websites as well as Apple’s Siri and Amazon’s Kindle. What is great here is the fact that Bing shows you the partner websites your ads appear on. You can also narrow the network and choose where exactly to show your ads. Well, Bing Ads is definitely underestimated and there’s a great chance your competitors aren’t taking advantage of it. Remember the 66 million searchers that are not on Google? Well, you have a great opportunity to get ahead of your competitors and reach out to even more potential customers. First, it’s important to mention that the search behavior of Bing searchers is slightly different than Googlers and you should always keep this in mind when testing ads. What makes the search engine great for testing is that it doesn’t cost you a fortune and you may actually end up with some good conversions and ROI. From a marketer’s point of view it’s the perfect place to test new ads or perform A/B tests. And here’s some practical advice – after testing on Bing which got good results you can run the same campaign on Google and see how it works. You can also run a couple of campaigns on both networks and see what works best on the specific network. Then stop the low performing ads and let the top performers run. For example, let’s say you’re selling knitting yarns and accessories, and knitwear. You can run three campaigns on both Google and Bing – one for yarns, one for knitting accessories, and one for knitwear. Hypothetically, the picture will look like this – the knitwear ad works best on Google while yarns and accessories perform better on Bing. Got the idea? Exactly, stop the yarns and accessories campaigns on Google and knitwear campaign on Bing. Of course, it’s not always that easy but you get the idea. You can perform the exercise above easily enough because Bing allows you to import your campaigns directly from Adwords which saves you time from doing everything twice. You will also have the opportunity to easily track, measure and compare which campaign is best for the specific search engine. Bing is often underestimated because of the “small” market share. However, when you get into the numbers it’s not that small after all. The search engine has a really great potential especially because the CPA is several times lower than Google’s. While you may not rely on it alone you can use it as an addition advertising channel for increasing brand awareness, conversions and ROI.